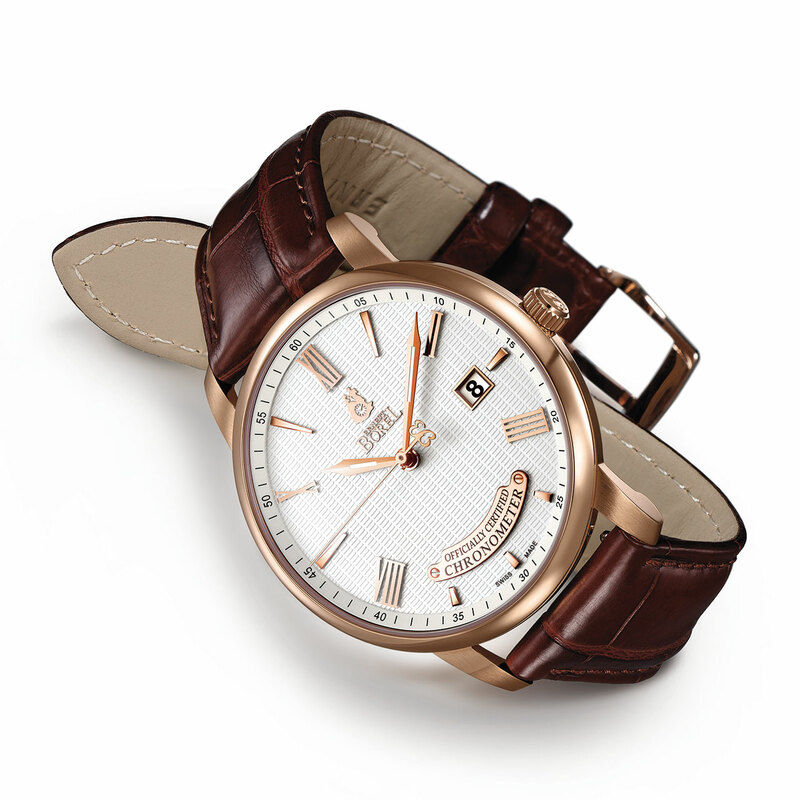 This timepiece honours Jules Borel, the watchmaker who co-founded the company in 1856. Beneath an exterior that takes its style from the first wristwatches of the twentieth century beats an automatic movement whose timekeeping performance has been certified by the Contrôle Officiel Suisse des Chronomètres (COSC). This carefully crafted gem of precision and reliability resides in an 18K pink gold case, bringing the refinement of noble materials to the delicacy and elegance of classical horology.